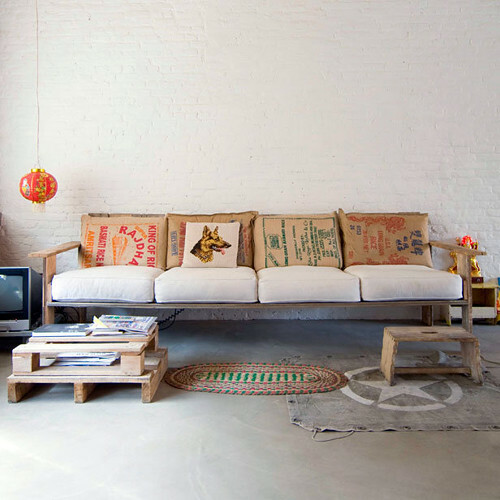 Today I’m loving … these flour and grain sack pillows made from jute and cotton. You can find similar bags online, for example in this Etsy shop. oh, the mirrors! would love to have a wall full of those! I love those pillows in the first shot. So cool! When I was in college I worked at a coffee shop and designed a line of clothing made out of the coffee bean bags…they looked awesome, but were really scratchy. I didn’t think that one all the way through.. ; ) Flour sacks are a much better idea. great post! Love the second shot. 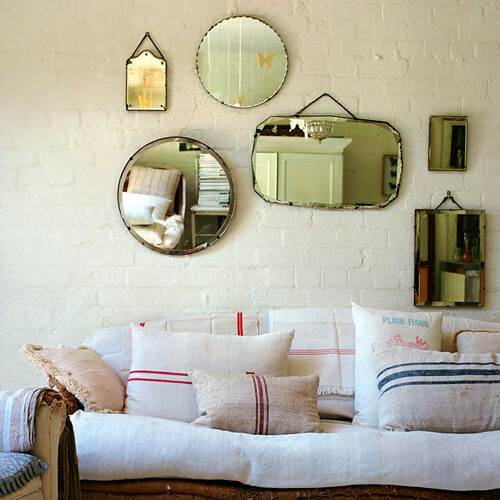 I attended Maison et Objet last month and saw an amazing amount of linen and hemp being used in chic and modern ways. A feast for the eyes, let alone the hands. Pingback: Att sy själv eller shoppa | Husligheter – inredning och design som blogg.